Whether you are a bodybuilder, athlete or just an everyday Joe, a healthy immune system is a must. Because our bodies are exposed to bacteria and pathogens from coming in contact with thousands of people, it is imperative to take care of our body and digestive system. 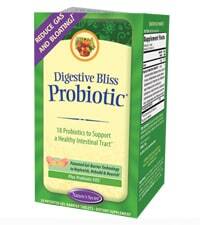 Probiotics are healthy bacteria that aid in maintaining a normal balance in the digestive system and the immune system. With so many different supplements offered it can be difficult to select the perfect one to purchase. 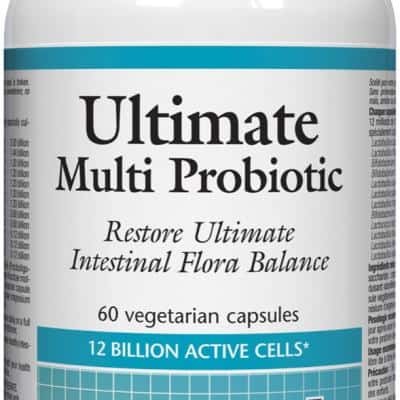 We have reviewed and rated the most popular products and below you will find the best probiotic supplement of 2015. 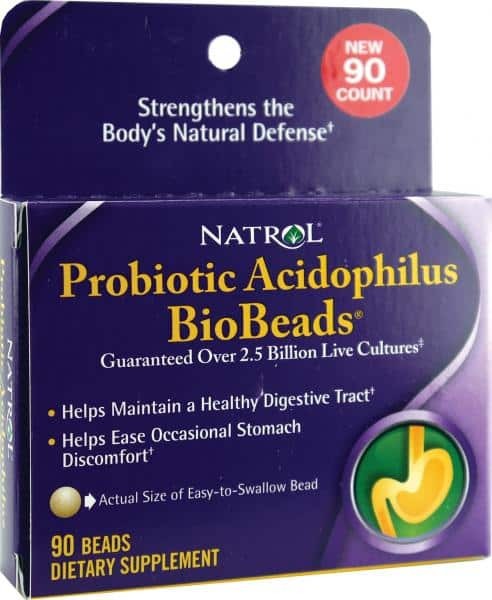 A powerful, supplement the Natrol Probiotic Acidophilus BioBeads promotes good digestion and even better immune function in an easy to swallow pill. This supplement uses a well-tested triple shell encased around the pill to prevent the ingredients and formula from dissolving in your blood stream to soon. With all natural ingredients and no yeast, wheat, corn, milk, egg, soy, gluten or sugar this probiotic is ideal for anyone with food allergies or dietary restrictions. While users did praise this probiotic for being perfect for those with a lactose intolerant, some found that the product actually contained soy. Buyers are encouraged to read package carefully prior to opening to ensure that the ingredients are safe for them to eat. As our number 4 ranked supplement, the product has many advantages. First, the supplement does not contain any artificial preservatives, colors, sweeteners, wheat or starch. Consequently, the vegetarian capsules can be consumed by any individual no matter the extent of their dietary needs. This supplement has a powerful formula with a minimum blend of 12 billion live cells. While many users praised the ingredient blend, the overall review of the probiotic was only average. There are better supplements on the market for the money. 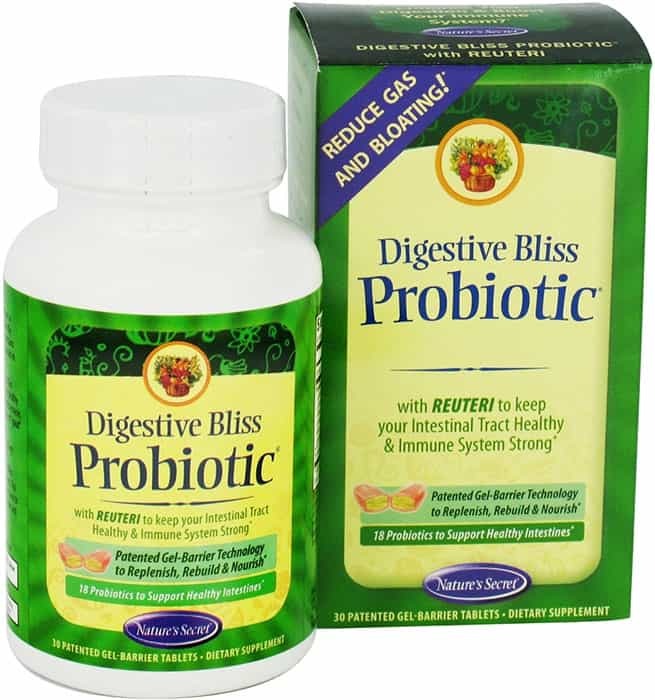 Ranked number 3 in our listing of the best products of 2015, the Nature’s Secret Digestive Bliss Probiotic helps support a healthy immune system and digestive tract. 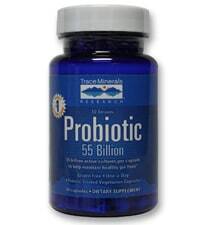 The probiotic includes a blend of Lactobacillus and many other bacterial organisms that help promote healthy living. The supplement has a patented deliver system that brings live probiotic bacterias to the digestive system in the shortest time possible. The gel that surrounds the capsule will not break down until it reaches the intestine, meaning that your body will receive the nutrients where it is most effective. On the downside, some users of this probiotic complained that the pill was difficult to swallow and that minimal benefits were noticed. This excellent dietary supplement delivers powerful live cells to the intestinal track in a vegetarian capsule. 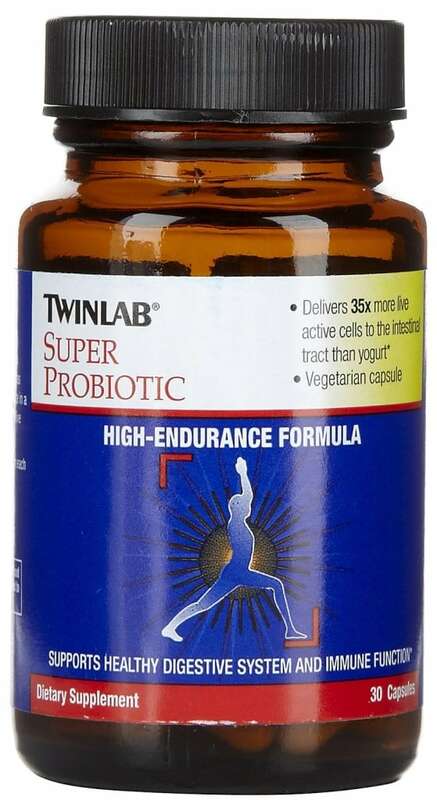 Twinlab Super Probiotic helps to support a healthy digestive system and proper immune function. 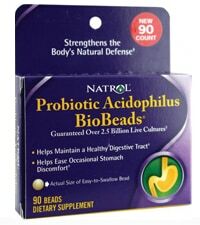 Because the acids in a person’s stomach can destroy the cells as they enter the body, it is imperative that the probiotic pill be designed to resist attacks by the digestive system. In each pill, there are a minimum of 2.1 billion live cells. 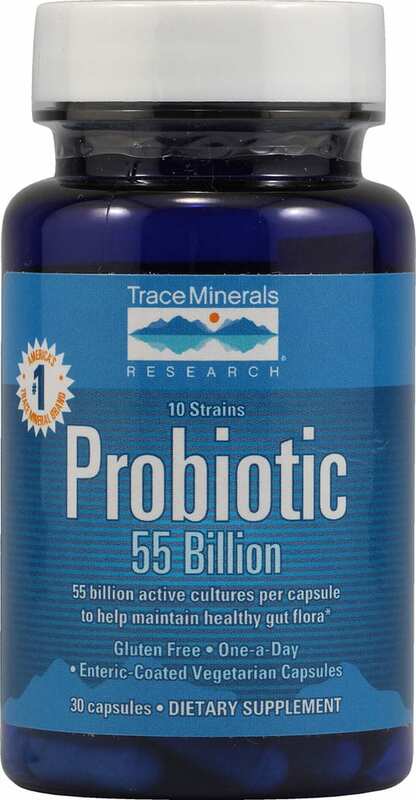 As our number 1 ranked supplement, Trace Minerals Probiotic 55 Billion offers a unique blend of 10 strains of live organisms that includes 11 billion Bifidobacterium CFOs and 44 billion Lactobacillus CFUs. These ingredients are not found in many other probiotics; however, they are the most common bacteria found in the intestinal tract. 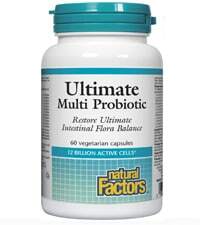 Therefore, it is imperative that a probiotic that supports proper digestive health utilizes these bacterium. 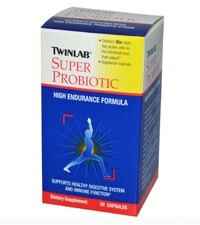 Consequently, the addition of these bacterium make it the ideal supplement for anyone looking to ensure healthy living. Great Post – I’ll try these out sometime. I currently use kefir and some small shots from the grocery store, but this would be so much easier!